Former Owner/Operator of the Frog Grill in Tonawanda N.Y. 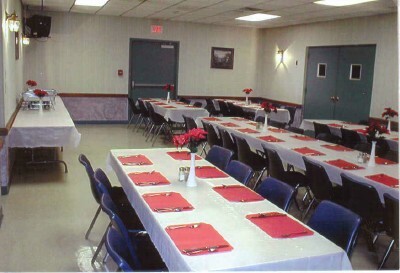 Luncheon Buffet and Luncheon Family Style catering is also available starting at $12.95 per person. 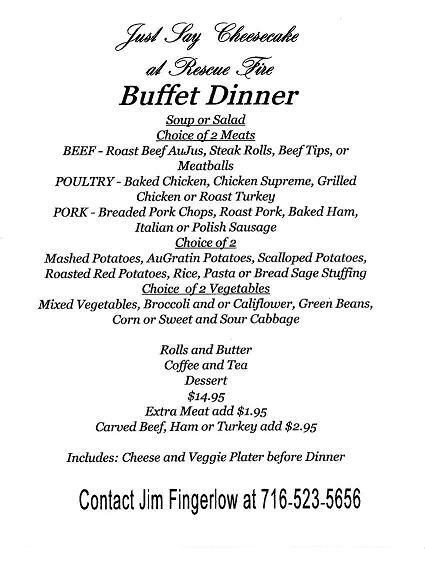 Drop off Buffet is also available. Hors D'Oeuvres are also available. 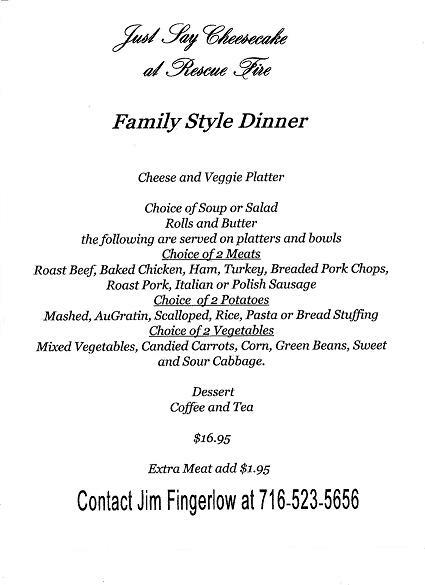 3) the Head Table will be served "Family Style"
9) Balance of the Food Bill will be due the night of the Banquet with 18% gratuity added. Our small hall offers plenty of room for up to 50 guests. Baby Showers, Meetings, Birthdays, Anniversaries? Who needs that gang to clean up after at home. Rent our small hall! For a clean friendly atmoshere at a very affordable price you can't go wrong. Rescue Fire Hall is accessed most easily from Niagara Falls Blvd. and Erie Avenue. Rescue Fire Co.#5 no longer has bingo.